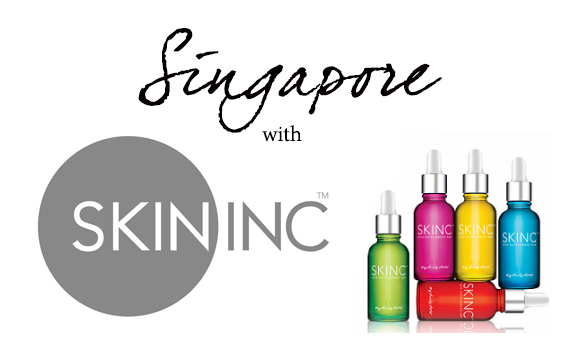 My Singapore Trip with Skin Inc! Just last week, I had the pleasure of being flown into Singapore to join the global Skin Inc press launch, an event celebrating (as is probably obvious from its name) the global launch of their revolutionary Skin Identity skin check. With this innovative skin check, you can discover your unique skin identity and be empowered to co-create your own one-size-fits-one custom skincare solution - all with the click of a button on their website! 1. Skin Inc is 'Singaporean-born and bred', with its skincare researched and developed using the latest technologies available to laboratories in Japan. 2. Skin Inc's serums contain potent active ingredients that scientists have managed to shape into little encapsulated beads, suspended within a highly moisturising, yet lightweight formula. This helps the products penetrate quickly and easily into the skin, which means more efficient skincare. 3. To customise your own concoction, you can take a questionnaire on www.iloveskininc.com, and a special blend of 3 ingredients will be prescribed to you. 5. Skin Inc provides bottles for you to mix your serums into, and you can choose any colour you like to mix your serums into. These bottles even come with a little label you can write on so you always remember what ingredients were used in your own concoction. 6. Your specialised combination of ingredients is called 'My Daily Dose', and it is recommended that you apply 3 drops, twice daily. 7. Skin Inc beauty bars also provide facials, and they're unlike any I've ever experienced - using blasts of oxygen to exfoliate the skin and Japanese thermal water to calm and moisturise. I highly recommend trying one if you're ever near a Skin Inc store in Singapore! Me, fresh (and completely bare) faced after my Skin Inc facial at ION Orchard mall in Singapore. Now if you guys are interested in trying out this fabulous skincare brand for yourself, Skin Inc actually has a lovely starter kit that contains their award-winning 3-step regime and is perfect for someone making their first foray into their skincare range. It contains trial sizes of 3 of their famous serums, a Pure Revival Peel (this fabulous mild chemical peel that acts as an exfoliant), and their Pure Deepsea Hydrating overnight mask. You can blend all three serums together to apply to your skin; the serums in this pack are formulated to give a radiance and glow to your skin. To use, simply blend all three serums together (you can mix them into a dropper bottle or simply apply a drop each onto your fingertips), pat into your skin, then run your fingers over your skin in a piano-playing motion to help the serums absorb into your skin. For even better results, you can use their Pure Revival Peel before applying the serums (apply to your skin and leave on for a minute or so, then rub your hands into your skin - you'll feel the your dead skin cells ball up and fall away! ), then, follow with their moisturiser. I tried this kit as soon as I got back from Singapore, and I am in love with these amazing products! I can't even choose a favourite because these products are all so great. The Pure Revival Peel is a gorgeous exfoliant that isn't too harsh on the skin, the Pure Deep Sea Hydrating Mask is fantastic because it is so convenient and extremely moisturising (click here to find out why I am all about overnight masks), and the serums - as I mentioned above - are potent and so on-point performance-wise. Within a couple of days of using these products, I was waking up to plump, moisturised, glowing skin; and within a week or so, my skin was vibrant and luminous - the glow was showing up even under my foundation! 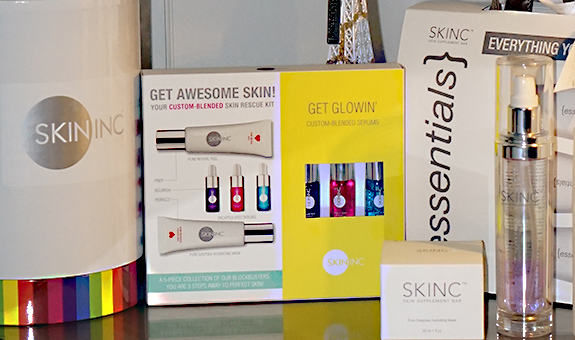 If you want to find out more about Skin Inc, visit them on their website, or on their Facebook page.